Hey, guys! I've been really busy lately and haven't had the time to post here on the blog. I've been working on creating my new YouTube channel and I have a couple of videos to share with you. Who's excited? I've really gotten into planner decorating this year. I have been following it for the past year or two and have tried it myself more than once, but gave up pretty quick. This time around, I think I'm smitten! My first video is my January Planner Haul. I'm sharing everything I purchased and received in the month of January. 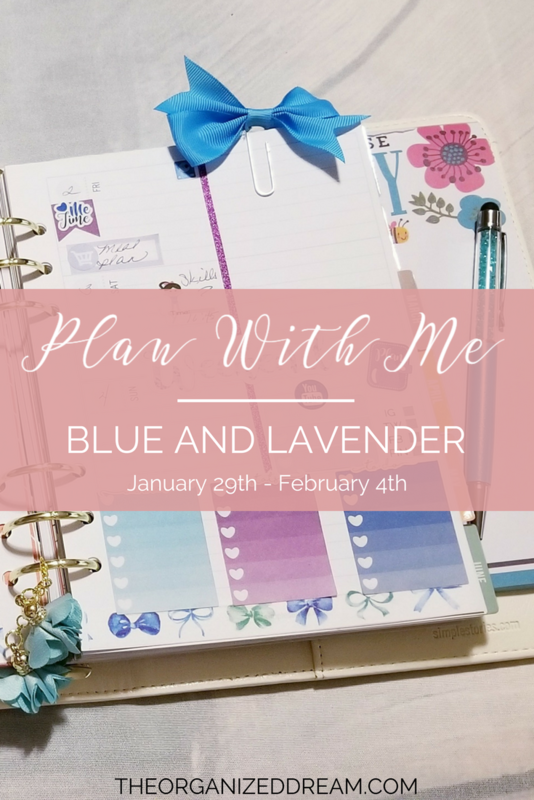 My second video is my Plan with Me for this week with a pretty blue and lavender kit.